TAIPEI • The two giant pandas were sent from China on a mission with deep diplomatic implications. And so when it appeared this week that one of them had died, the online mourning took on a particularly political tone. In 2005, China had offered the pair to Taiwan, but the government at the time demurred. Then, in 2008, after a President who favoured closer ties with China was elected, the pandas made their way across the Taiwan Strait to Taipei. A poll held to select their names came up with Tuan Tuan and Yuan Yuan. Tuanyuan means reunion, alluding to China's goal of unification with Taiwan. Today, that conciliatory president, Mr Ma Ying-jeou, will step down. His successor, Ms Tsai Ing-wen, is expected to be far more cautious about trade deals and other agreements promoting cross-strait ties. When Chinese news outlets reported on Monday that Tuan Tuan, the male panda, was dead, some in China saw it as an ominous sign. But the reports, which were carried by state media outlets including Global Times and the English-language Twitter account of People's Daily, were wrong. Tuan Tuan is alive and healthy, Taipei Zoo quickly clarified. 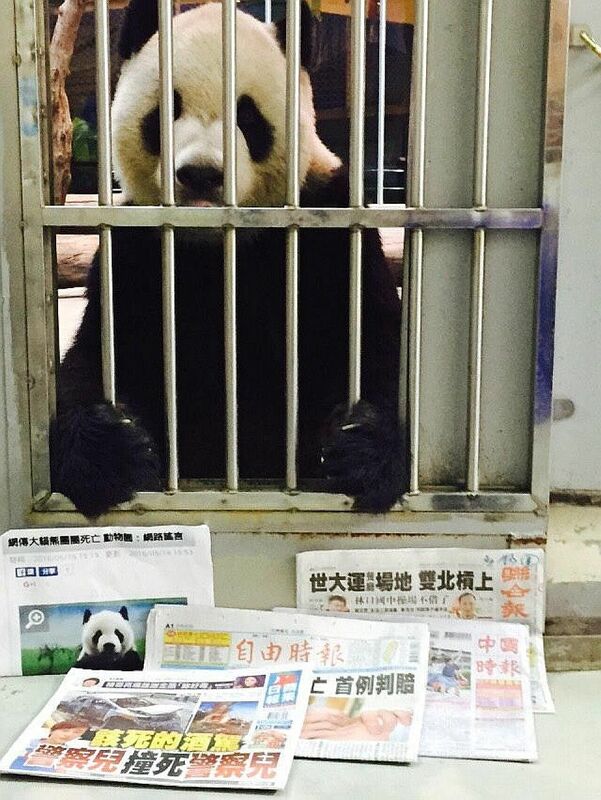 On its Facebook page, it released a photograph of the panda on Monday peering out from a cage with a selection of the day's newspapers arrayed in the foreground. The caption read: "Please don't believe online rumours. Friends who care about Tuan Tuan don't need to worry."